Select barcode font, enter barcode value, barcode header, barcode footer and adjust general settings of barcode label. 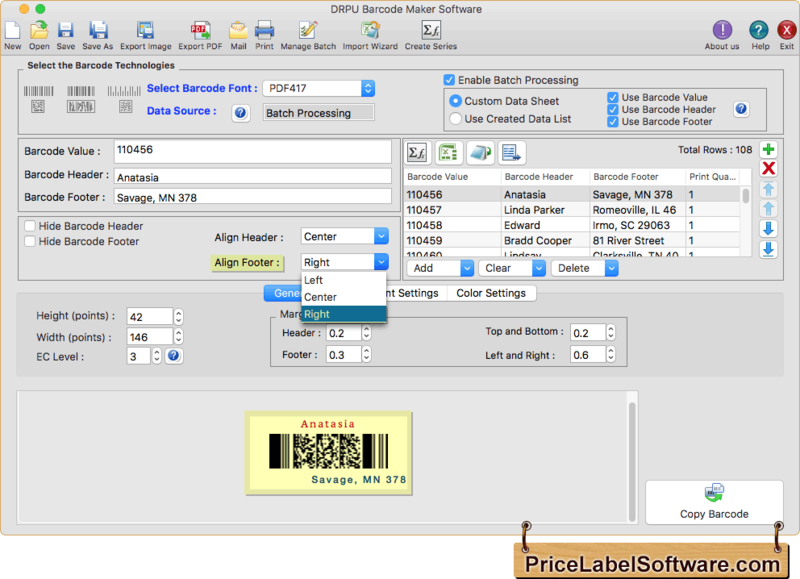 You can also create batch processing series to create list of barcode labels. Software provides option to align barcode header and barcode footer. In above screenshot, we have align barcode footer to right only for demonstration purpose. 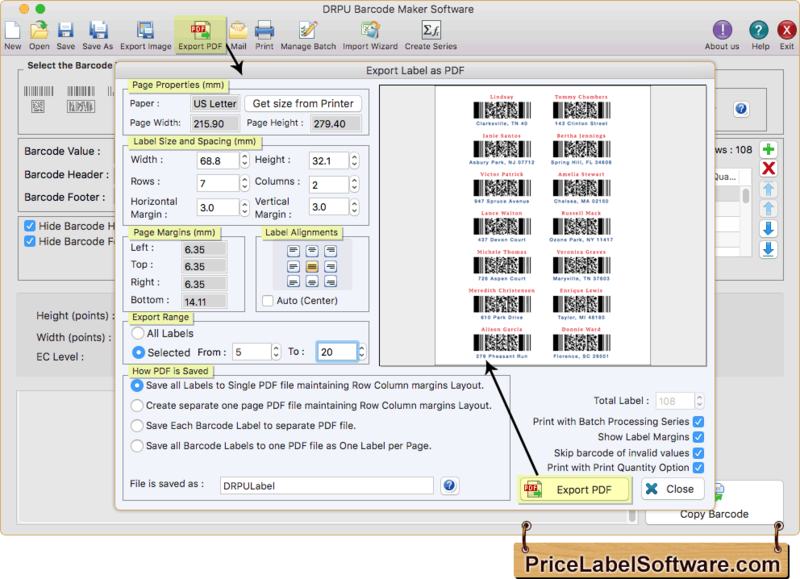 Click on Export PDF option to save or export barcode labels in PDF file format. 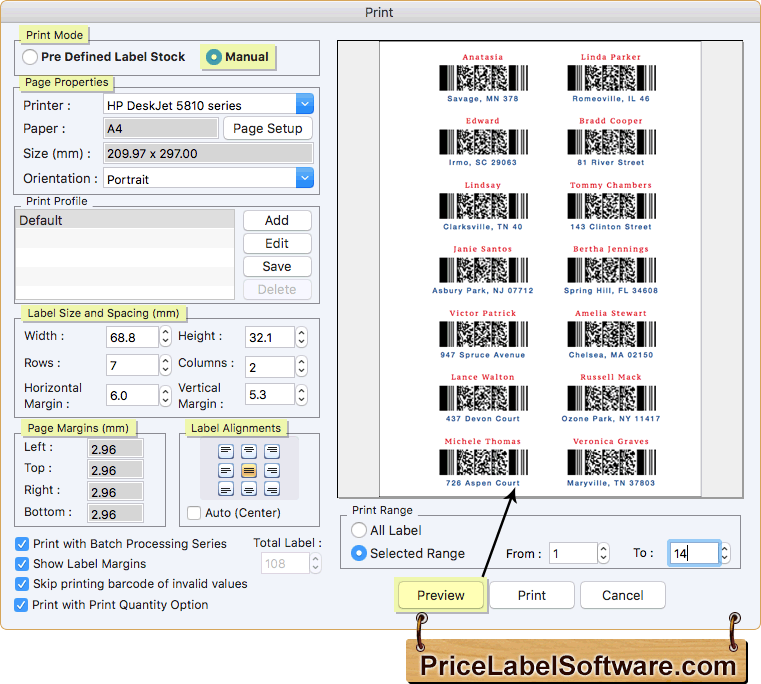 Fill various print properties and click on Print button to print barcode labels.